Do Your Current Branding Ideas Focus on a Broken Promise? The best branding ideas should directly impact the customer, encouraging spending. You need to understand what influences buying power and create excitement about those specific products and services. Your brand must be a promise to deliver. How you commit the brand to your targeted audience must have priorities. A brand’s capabilities, nature, and competitor’s promises are all factors that can shape your brand. It’s no surprise that brands succeed by their ability to deliver and if their promise is believable. Branding ideas shouldn’t overlook the integrity of the promise, which means the character of the brand shouldn’t stray too far from that particular industry. 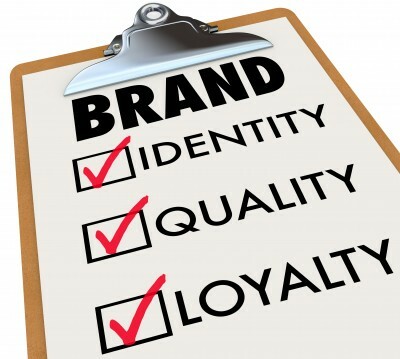 The most important of all branding ideas is using a promise to connect businesses and customers. The easiest way to achieve this is to build excitement. The big names like Pepsi and Hershey have done a good job doing this. Both have established a promise that drives customers into quicker buying decisions. Now whether that is done by branding ideas that offer bargains or the simple pleasure of experience, differs upon the execution. The best branding ideas generate sentiment and interest. For customers, focus on the thrill of the purchase and spontaneity. If you are looking to create a promise to another business, focus on how you are going to get them more money. Let’s be honest, businesses want to maximize their value in every aspect. The branding idea here is to highlight a risk priority and a promise to deliver the most minimal risk possible. This is an example of ensuring your brand’s promise is aligned with the customer’s decision-making promise. Branding ideas for your B2B needs is a wide world. Each promise can be different from the next and you will need to really cater to your audience. If you are marketing to a service industry, reliability is key. Deliver a brand that gives these business dependability. This same concept can correlate to other industries, too. If you are looking for branding ideas to entice government entities, an effective promise would be about predictability. These groups are centered around productivity and efficiency. Develop a brand that could be used for policies, budgets, and even deadlines. If you are looking for fresh branding ideas, contact us. We can develop a successful guideline that’s easy to implement and keeps you focused on delivery. This entry was posted in Brand and tagged brand, brand capabilities, branding ideas, build brand value, company brand, content marketing strategy, copywriting, copywriting solutions, engage customers, factors that shape your brand, marketing, marketing strategy, Susan J. Campbell Copywriting Solutions. Bookmark the permalink. 1 Response to Do Your Current Branding Ideas Focus on a Broken Promise?